This Homemade Cherry Liqueur, or what some know as Chambord Liqueur, was created because of my indispensable gardener. He loved my Brandied Cherries and the liqueur they offered up. I knew it would be a nice surprise if I made it for him. 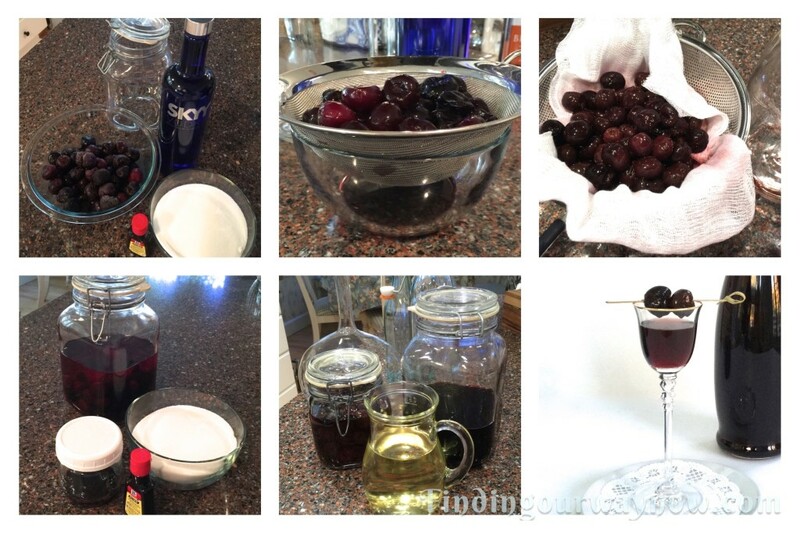 Even though this Homemade Cherry Liqueur is an easy recipe, it requires a bit of time to steep, so I made a plan and set about making it so I would have it in time to surprise him when he would least expect it. While I was at it, I made a bit more to have for myself and possibly to share with other cherry loving friends. Defrost the cherries until room temperature. Drain the thawed cherries and reserve the leftover juice and set aside. 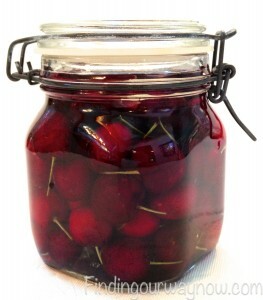 Place the cherries in a large latch down lid jar; add the vodka, seal and shake a bit. Place in a cool, dry place for at least 3 weeks. Shake every few days to encourage the cherry infusion. After 3 weeks, in a medium saucepan combine the water, reserved cherry juice, and sugars. While stirring, bring to a boil. Reduce the heat to a simmer and continue to stir until the sugar is completely dissolved, making a cherry flavored simple syrup. This will take about 5 minutes. Move the simple syrup from the heat and allow to cool to room temperature. Add half of the cherry flavored simple syrup with the almond extract and stir until thoroughly incorporated. Taste for sweetness and add more (or all the remaining) simple syrup to your liking. Place in a cool, dry place for up to 3 days. Shake every so often. Strain the cherry liqueur a few times through a double layer of cheesecloth into a bowl or another large jar. All the residue should be removed giving you a clear liqueur. Pour the strained homemade cherry liqueur into decorative bottles, cap and seal, add a label and a bit of ribbon and you’re ready to go. 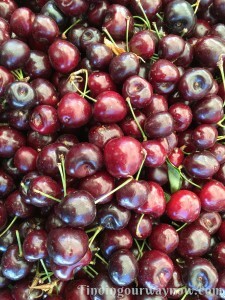 Notes: Fresh cherries can also be used in place of the frozen when they are available. A top-shelf Vodka isn’t necessary; a smooth, medium quality vodka works nicely. The sweetness of the liqueur is up to you, add or reduce the amount of the simple syrup to your taste. A side benefit of the Homemade Cherry Liqueur is you can bottle the strained cherries in an equal mix of corn syrup and vodka for an extra special treat. If you love cherries, or you have a friend who does, then they will adore this homemade liqueur. 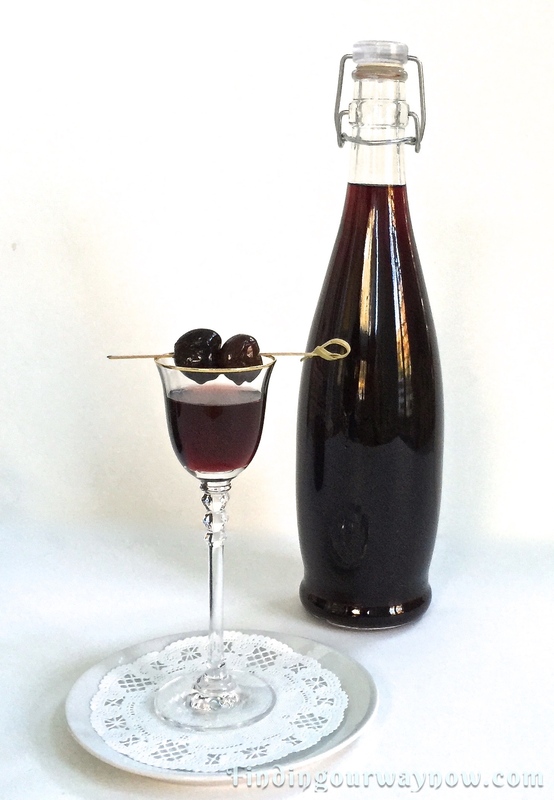 The color of the homemade cherry liqueur is a beautiful dark cherry-red, and the flavor is a delight, well suited for any celebration. Try it over some of my homemade vanilla ice cream... boy is that good! Well, this Homemade Cherry Liqueur, or Chambord Liqueur, is the last of my cordial and liqueur recipes for now. 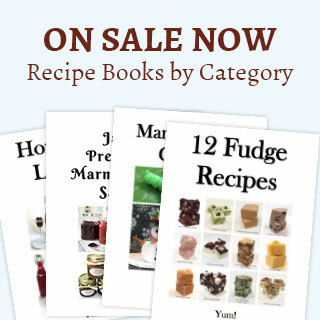 All of my liqueur recipes are easy to make; each has a unique and enjoyable taste. Whichever one you prefer, have fun making it and don’t forget to share. If you enjoyed my “Homemade Cherry Liqueur,” check out my Homemade Limoncello, Homemade Coffee Liqueur, or my yummy Homemade Creme de Menthe. Enjoy.